When we first opened our doors in 2009 (as broke just-out-of-college kids) we stocked the shop floors with our own personal bikes and a few used bikes we had fixed up. We slowly built up our inventory to what it is today, and the rest is history! We still love seeing great bikes live on, which is why we strive to offer a steady rotation of quality used bikes in stock, ready for their next owner. What’s more green than re-using an item for it’s original purpose? We re-vamp old bicycles all the time. Why not go by bike? Bike to save time, to save money, to avoid traffic, for yourself, for the environment, for infrastructure, and for your health! Kid growing like a weed? Need a more reliable winter rat? Testing out a new hobby and not sure how into it you'll be? Check out our pre-loved selection, with prices ranging from $50-75 (for kids bikes) and $150-200 (for adult bikes) on up. Avoid a garage sale disaster or big box store improperly assembled death trap. Most of our used bikes are trade-ins from customers looking to upgrade, or from customers moving out of town (sadly without their wheels!) 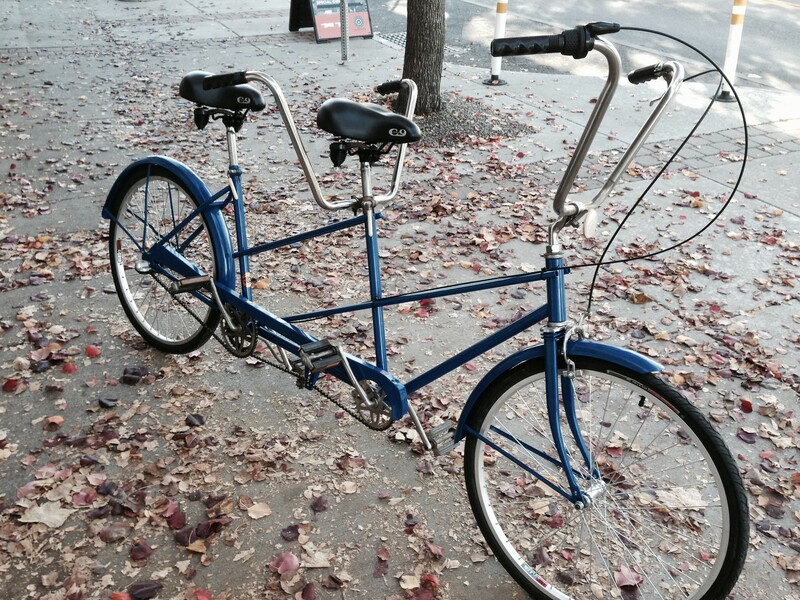 We only sell bike shop quality bikes—no used big box store "bikes" here! Before a used bike leaves our store, it has been professionally tuned-up, any worn parts have been replaced, and we will stand behind any repairs done! Having an issue? Simply stop in and talk with us. No issue is too big or too small. As with any new bike purchase, used bikes also come with a complimentary bike sizing. We will work with you to help determine the right used bike and size for your needs! Then we'll help get you two accustomed to each other, and adjust your seat to an appropriate height based on your leg and knee extension. Vintage 1980's steel road bikes to lightly used current model year all-mountain bikes—our stock rotates daily, so you never know what treasures you might find! Since we have such a wide variety of used items, we do not list them all on the web. Stop by the shop and see our bikes of the moment, or give us a call with any questions.